Have a Safe and Fun New Years Eve!! We spent the day running around trying to get the RV ready to leave tomorrow. Oil change, propane, groceries etc. We just finished up dinner and I need to get this post done for you all. I used a Sketchabilities challenge sketch. I am hoping I am not too late to post it over there but if I am oh well...I enjoyed using the sketch. Here are those photos from my tired blow out on the way here. I'm not sure I did the experience justice. We are just at home tonight with all the kids and will probably not stay up till midnight since we are both leaving super early in the morning to head back home to Nevada. Me driving and my husband flying. 5:30am will come pretty quickly! I hope you are all having a fun and safe New Years Eve. I am sure it is crazy at your house too this time of year so you will understand why I have been missing more than I have been here. I will be back to more regular postings in January when I get back home. BUT...I actually did do some scrapping last night and I want to share this layout with you. I did it for two reasons....the first was for a sketch challenge at Sketches4You, Sketch Crazy that Fia has going on right now. I love to start with a sketch and I love to combine challenges so it worked perfectly for me. The second reason was I needed an example for my S4U Stash Challenge. I did a recipe challenge this time. You should go and join in. I will be giving a RAK to the winner. And this challenge will end on January 10th. The recipe is to use chipboard, 2 types of ribbon and to tear paper. Seems like a good enough challenge. I used a picture of my parents that my mom emailed me. I really liked this picture it is sweet. I also had a funny story to share. I hide my kids presents in my closet. I have even installed a lock so that I can lock it at Christmas! Well, guess what I found in my closet yesterday???!!! A present for one of my daughters...a very special present....her MAIN present! Spy Gear. I'm such a dork. I hid it so well, that I hid it from myself! Here is a couple of pictures of her in her Spy Gear. The funny thing is that she never said a thing about not getting the one thing she asked for. But man is she happy and excited to have finally gotten it!! I don't think she even cares that it is a little late. So there is your little chuckle from me today! I was supposed to leave this morning to drive back home to Nevada but there is snow storm in Arizona today and it will be there and also in New Mexico tomorrow so I am going to wait to leave until Saturday the 1st. I hope your day has been wonderful. Well, we made it to Oklahoma. We were racing in front of a storm so we kept going and spent the first night in Santa Rosa, NM and then got up early and hit the road the next day. We were making excellent time and beating the storm when my right front tire blew! I was going about 75 mph in the "fast" lane when it blew. We were on a hill almost on a bridge driving on the rim and I got it pulled over on the side of the highway. It was a scary spot we were barely off the road and there was a drop off on the other side and there was tons of traffic on the road zooming by us. There was actually many lucky things that happened. I was luckily in a good cell phone area and could call AAA. We luckily didn't roll the RV. (which is what usually happens apparently from what everyone tells me) We luckily had a good spare and didn't hurt anything else on the vehicle except the tire. And luckily we got the sweetest guy to come help us change the tire and get us back on the road. I asked him if I could take this picture of him to scrapbook and he was thrilled that I was going to scrap a page with him on it! He told me he scrapbooks!!!!! I thought at first he was giving me a hard time but he was serious. I don't think he does "fancy" scrapbooking but he does save stuff in a scrapbook. I thought that was cool. It took about 3 hours to get back on the road but all in all it wasn't that bad if I HAD to break down. My husband had to change his flight because of weather and didn't get here until late last night with all the rest of my kids and his mother. So we are all here now and feeling better and hoping for a wonderful Christmas! How are all of you doing? Any news to share? Any crazy stories? How are you all feeling?? Come on.....share! Get me caught up on things. Woke up today with Pink Eye!! (conjunctivitis in my right eye) Good grief! I'm falling apart! LOL Ended up going to 2 doctors today instead of only one. I got my hysterectomy all scheduled for January....woo hoo I really liked the doctor I went to and am glad she is doing it for me. She does robotic hysterectomies. They are supposed to be less invasive with quicker recovery times. Cross your fingers for me! I need to get back up and running quickly with 5 kids. One of my dogs had to go to the veterinarian on Saturday. She has hurt her paw and has an infection in her eyes and on her back....good grief She is almost as bad off as me!! LOL We got her on medication and wrapped her paw and she is already doing much much better. Found out on Sunday that my van has a problem with the front end and I can't safely drive it to Oklahoma this week and can't get it fixed in time. So now the back up plan is to drive our RV instead. That is actually okay with me. I can fit everything in it and get all my presents back home. And since I have been worrying about where to put the bird when we stop to go to the bathroom on our road trip...now he can just hang out in the bathroom in the RV with the door closed. (we have dogs and they bark and run around inside the car when we get out) (and my boys are too young to hang out in the car without me). Sketches4you is having a party in January called Bling on 2011! There will be challenges and prizes so let's start out the new year fresh and blingy!! ***Update*** You won't believe this (or maybe you will) but I now have it in the other eye too!! OMG! ***2nd Update***2 kids now have pink eye in both eyes and one has an upper respiratory infection and feels terrible....sigh... One of the pink eye kids is going with me in the car to Oklahoma tomorrow. The other kids will be going to the doctor tomorrow. Wish us all luck! Rita at Let's Embellish is having a blog candy giveaway. It looks totally yummy and ends pretty soon so you should rush over and check it out. You will be happy you did because her blog totally rocks! She is such an artist and does great video tutorials too. What are you waiting for?? Go!! Well.....I survived. I know you were all waiting with baited breathe to see if I did! ha Everything "came out" alright. (ha) Nothing bad to report. My doctor now wants me to have an oral endoscopy (swallow a camera pill) so he can look at my lower intestine. So I will do that in January since I am going out of town for Christmas and leave next Wednesday. You know, really, my colonoscapy was no big deal...there was no embarrassment, no stress and no pain. I'm not even sore at all today. I was only a little tired yesterday from the anesthesia. So if you have one scheduled don't fret. I got two sweet cards in the mail today from Cheryl in the UK. Thank you Cheryl!!! She was one of the winners of my last TH Giveaway. One of the cards she sent is a beautiful thank you card with a gorgeous hummingbird on it and the other fab card is the tiniest little retro Christmas card that came in such a lovely little envelope with a key hanging off it. They were so adorable I had to share them with you!! What do you think?? Aren't they the sweetest??!! You should check out her blog and see all the other goodies she makes. She is just a sweetheart! How is your weekend going so far? Ready for Christmas (if you celebrate it)? If you do celebrate a holiday at this time of the year...what do you celebrate and do you have a special tradition?? I would love to learn more from you all. Hope your Saturday is awesome! Went Shopping for Tim Holtz Products. My only problem with buying Tim Holtz products is that I never get to keep them!! I always give them away! ha I hope to some day use them and learn all the fun techniques he teaches. But I guess I won't get to do that with these products since I bought them for YOU! My Aunt Punkie (she's the one in red) is a quilter and she made a quilt for her son, Andy and one for my Mom, (she's the one in blue) her ex-sister in law. She brought them to our family reunion Christmas party this last weekend. I think they are both beautiful! (and wish she had brought me one!! lol) What do you think? Which is your favorite? Do any of you quilt? I think I would like to quilt but I would need one of those magnifying thingy ma jigs. I am having a colonoscapy on Friday (how exciting...not) (TMI maybe?) So tomorrow will be my cleansing day....sigh... I bet I won't be on the computer that much. I guess I could just take my laptop into the bathroom with me and blog.... Or is that gross?? I am so far behind I am running in a circle. I have so much to do to get ready for Christmas. Having surgery really threw me off. I'm normally totally done by now with everything wrapped and my cards sent! I have some RAK's and Santa Sister packages to mail too. I was supposed to participate in a swap (and made the stuff) but can't seem to get to that damn post office! I really just want to scrap something for fun but it isn't really fitting in my schedule right now. Hopefully soon. I am traveling again next week to Oklahoma for the Christmas break. I'm driving with my 2 older kids, the dogs, the bird and all the presents. Hubby is flying with the 3 younger kids... Who has the easier job? Do you travel over the holidays?? Any stories to tell? I drive back and forth to Oklahoma 4 or more times a year....so I could share a few... I actually like driving there. My older boys are wonderful travelers. And I just pop a book on CD in the CD player and listen and drive. I mostly listen to mysteries because they keep me awake. But some times I like to listen to biographies or comedians. I love to read...how about you? I pretty much never go anywhere without a book or my Kindle. Anyone else have a Kindle?? I LOVE my Kindle. It is a brilliant thing. Can you tell from all the questions, I am trying to get some comments?? I would love to hear some of the answers from you. I have been out of town for 5 days. 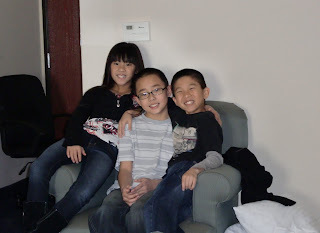 I flew my 3 older kids to Oklahoma and then drove down to Denton, Texas to our 15th Annual Christmas Party/Family Reunion. I took my computer but was too busy having fun to log on...so....sorry if you visited and missed me. 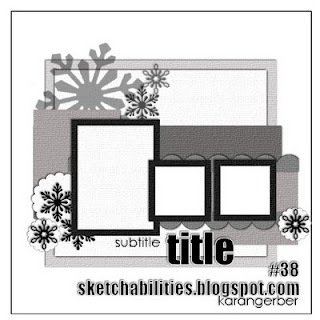 The Sketches4you Blog Hop is now over and I hope that you had fun if you were one of the people who "hopped along". 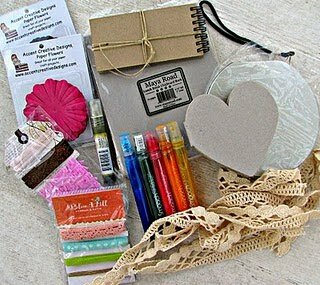 The WINNER of my blog hop RAK is ......Hollyk. Hollyk- You have until Monday the 13th of December to email me and then I will pick another winner. I am trying to get caught up on a few things today. Hope you are all having an awesome day! !